Our Ladies and Men were again out in force at the third North Staffs Cross Country League Fixture, held at Park Hall Country Park on Saturday. 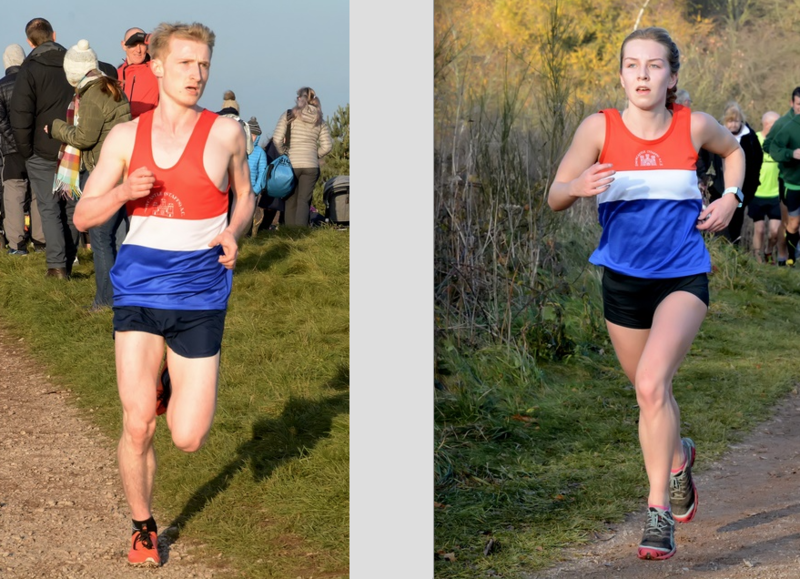 In Blustery but thankfully dry conditions we had fantastic individual and team performances from both the Ladies and Men and had the winners with Rebecca Twardochleb and Felix McGrath taking top honours. The Women’s race was a combined U/20, Senior and Masters field which ran two laps of the tough course (~5200m). Becky once again won the race with a dominant front running display, Leah Whiston again secured a fine 3rd, and Amy Neill achieved her best position so far in 5th, just edging out Kerry Marchant into 6th. U20’s Sophie Goodfellow and Lucy Matthews had another close race and finished in 9th and 10th respectively. We had 6 women in the first 10 (3 of whom were U/20’s). 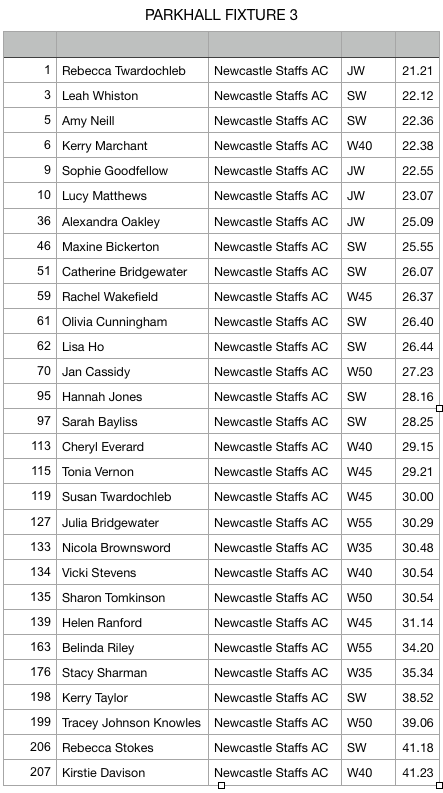 Alex Oakley was next in 36th (and 6th U/20), Maxine Bickerton 46th, Catherine Bridgewater 51st, Rachel Wakefield 59th, Olivia Cunningham 61st, Lisa Ho 62nd, Jan Cassidy 70th, Hannah Jones 95th, Sarah Bayliss 97th, Cheryl Everard 113th, Tonia Vernon 115th, Susan Twardochleb 119th, Julia Bridgewater 127th, Nicola Brownsword 133rd, Vicki Stevens 134th, Sharon Tomkinson 135th, Helen Ranford 139th, Belinda Riley 163rd, Stacey Sharman 176th, Kerry Taylor 198th, Tracey Johnson Knowles 199th, Rebecca Stokes 206th and Kirstie Davison 207th. A great team performance. * At the time of writing the ladies positions could change as there is a query over one athlete in the race results. The Men’s race was a combined U/20, Senior and Masters field which ran two slightly longer laps of the tough course (~7000m). Felix McGrath was racing his first cross country of the season but after a controlled opening couple of miles he eased away from the opposition to comfortably win by a 22 second margin. U/20’s Jordan Nixon and Jacob Droogmans were next in 20th and 22nd respectively (and were 4th and 5th U/20’s). 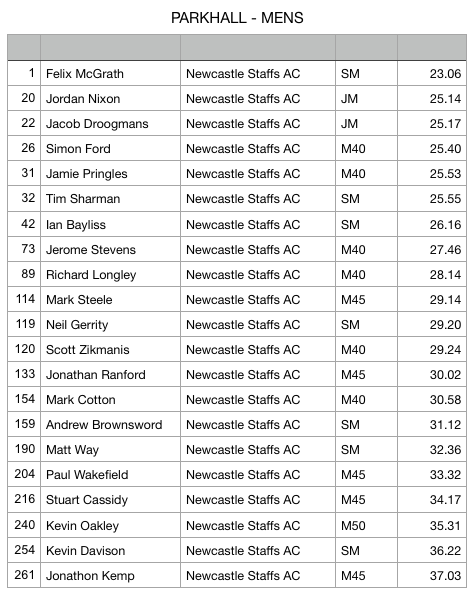 Simon Ford was 26th, Jamie Pringle got the better of Tim Sharman up the final hill to claim 31st to Tims 32nd, Ian Bayliss was 42nd, Jerome Stevens 73rd, Richard Longley 89th, Mark Steele 114th, Neil Gerrity secured 119th with his trademark sprint, ahead of Scott Zikmanis in 120th, Jon Ranford 133rd, Mark Cotton 154th, Andrew Brownsword 159th, Matt Way 190th, Paul Wakefield 204th, Stuart Cassidy 216th, Kevin Oakley 240th, Kevin Davison 254th and Jonathon Kemp in his first XC was 261st. Another great team performance meant 2nd on the day and now the men have moved up into 2nd Overall with just one fixture to go. Overall we had 50 athletes in these races – A Fantastic Team Effort! Thank you to Brian Dale www.racephotos.org.uk for use of the photos.